Monday, March 28 - Quiz CH 22 - "Rise & Fall of World Communism"
Wednesday, April 5th - FRQ Timed-Writing "Periodization"
1. 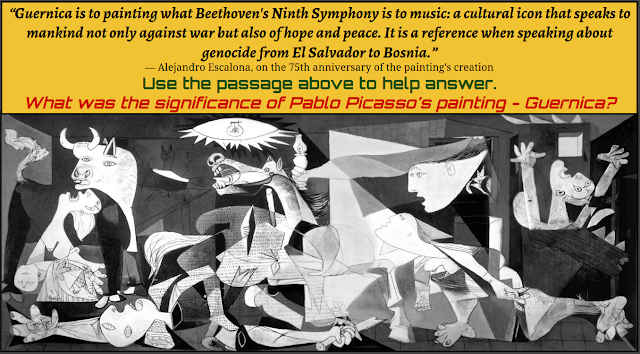 DO NOW: What was the significance of Picasso's Guernica? 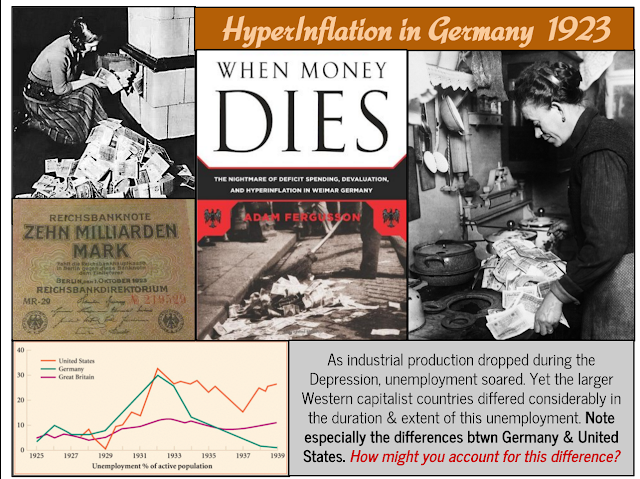 How capitalism & democracy failed - but why did it fail? 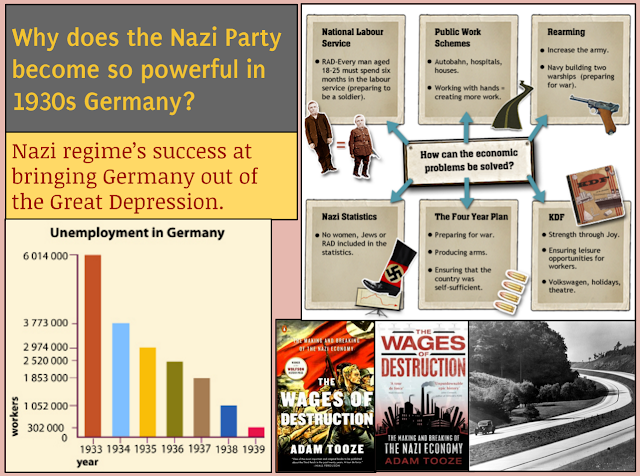 Discuss the use of Propaganda in Germany: Leni Riefenstahl's "The Triumph of the Will"
2. 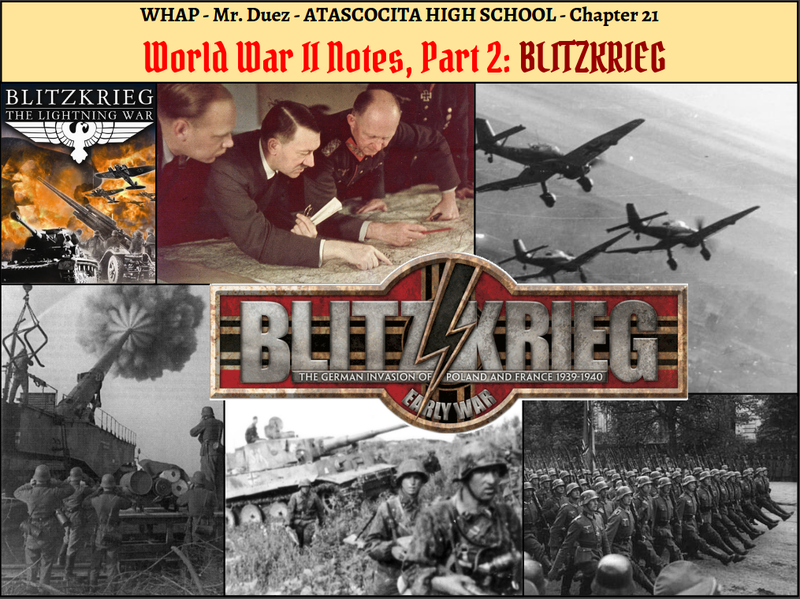 Notes, Video, Discussion: World War II Begins - But where does it begin first? In what way was nationalist Japan most similar to fascist Italy and Nazi Germany? 2. 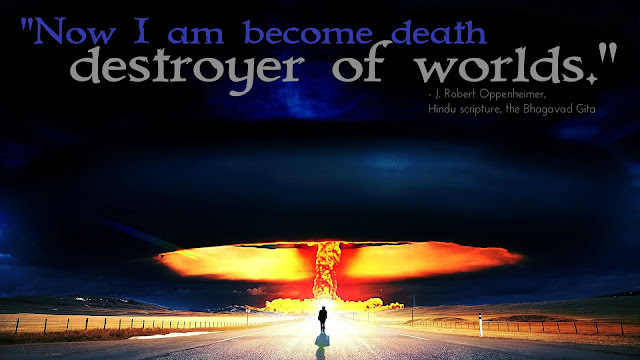 1st 45 Minutes: Video Documentary: War of the Worlds: Part II - "Killing Space" w/Questions. 1. 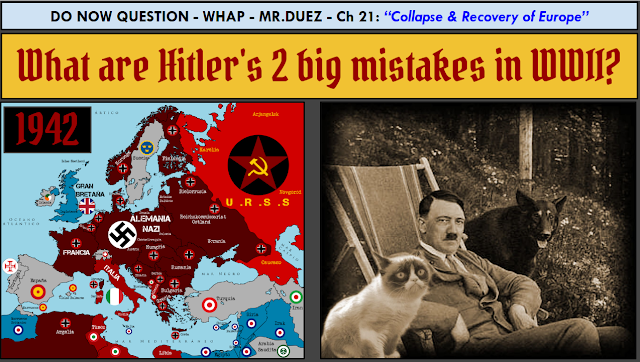 DO NOW: What are Hitler's 2 big mistakes in WWII?